As Sophie and her Mummy take a seat for their usual evening tea, there’s a ring on the door. No one usually calls at this time so Sophie answers it wondering who it could be. As she opens the door who is there but a tiger hoping to have his tea! This is obviously a children’s classic and I know for a fact I will have read it when I was small. The story however is lost amongst my memories and I didn’t actually remember the story very well. My sister rectified this when she went on a mission to ensure Spike had some of the more ‘classic’ children’s picture books before she was even born and this was in the pile which was handed to me when I was only 20 weeks pregnant. Reading the story to Spike it came back to me and I remembered that it was all just a bit of fun. The tiger eats and drinks all the stuff in Sophie’s house and its all a bit silly really. Its a fun story which some incredible pictures which had Spike staring at the page not wanting me to turn it, but I have to say it hasn’t aged well. I doubt older kids will even get the reference to the grocery shop boy delivering groceries on his bike because stuff like that just doesn’t happen anymore, and cafe’s rarely stay open past 5 these days so Sophie and her parents wouldn’t be nipping to one of those anymore! it was fun though and I think its still worth a read, its not as exciting as some of the more modern picture books I’ve read but because of the ability to put emphasis on certain things and make the tiger really come to life when you are reading the book out loud its still a great read for kids. 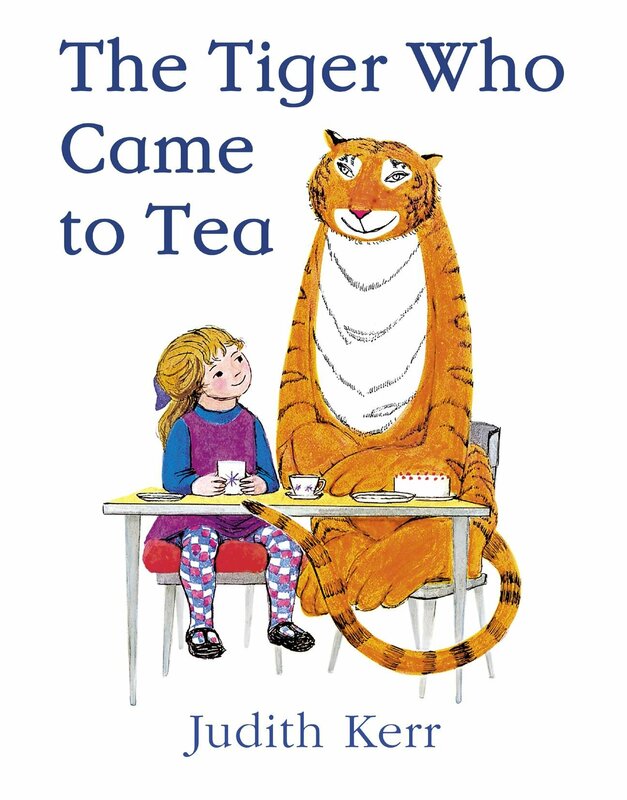 The Tiger Who Came To Tea was first published by HarperCollins Childrens books in 1968. My copy was given to me as a gift.